Rookie actor Park Min Woo expressed his thought on the premiere of I Need a Fairy (Sent From Heaven). Park Min Woo is playing the role of Cha Kook Min in the new KBS2 sitcom Sent From Heaven. 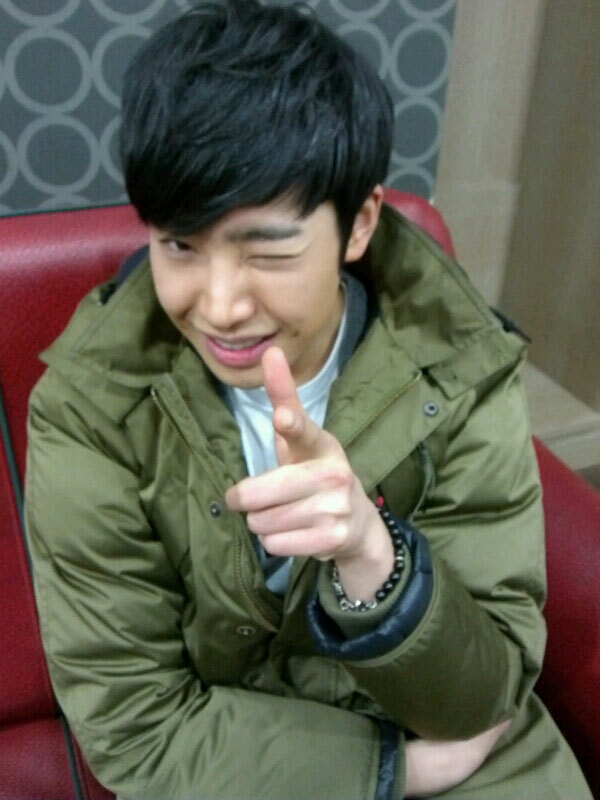 On the afternoon of February 27th, 2012, he uploaded a photo of shooting bullet of love, and expressed his exciting mood on the broadcast of first episode. At the same time, the photo of Park Min Woo shooting bullet of love also attracted attention. Netizens commented, “Will looking forward to it,” “Cha In Pyo is overthrown,” “This is best drama of 2012” and so on. On the other hand, Park Min Woo is playing the role of eldest son of Cha In Pyo in Sent From Heaven, Cha Kook Min. Kook Min has outstanding appearance, has the posture of prince since in the belly of mother, but once he speaks, all fantasy is broken. He brings a lot of laughter to audience through the role which aspires to be an actor.